Speed up Windows with the help of Microsoft free tool. 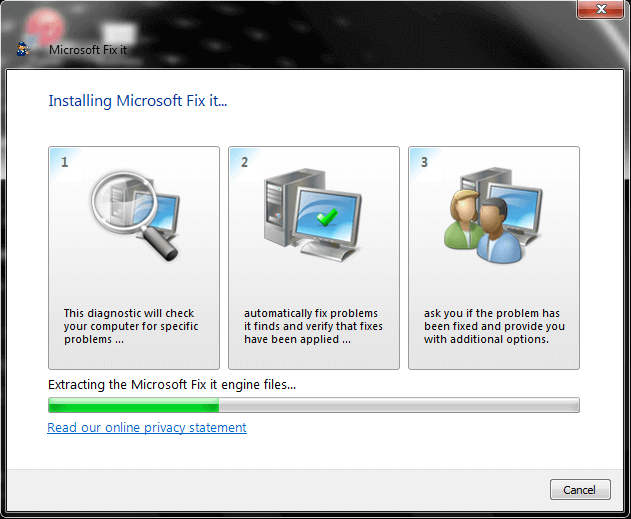 This tool name is “Microsoft Fix it”. This tool helps us to remove corrupted and broken registries from windows. It helps to uninstall corrupted programs from windows. And it also helps to fix the potential issues in your laptop and computer. 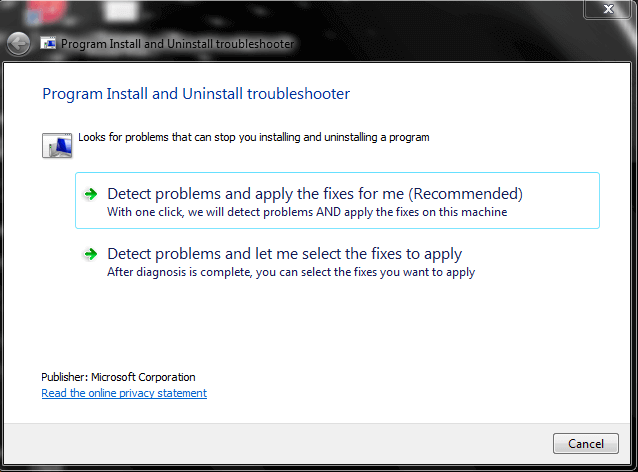 The main function of this tool is to troubleshoot install or uninstall issues in windows. Microsoft fix it runs on almost all kind of Windows based operating systems. Before we start I want to explain further how it is useful to speed up windows. It detects corrupted registry keys and these registry keys used to control data in windows. It also helps to fix and troubleshoot the problems occurred during new installations. If you are facing problem to uninstall programs or your control panel is giving you restrictions to uninstall programs then this tool makes your life better. There are two ways to use Microsoft fix it. You can either directly run this program to detect problems or you can also download to use in other operating system. Visit the following link and follow the instruction in ongoing screens. Speed up windows sounds easy now. Write us in comment to get support. And do remember to help others by sharing this post. I am running it on my laptop to see what I am missing on! Yes you should check. This is very useful tool. And best of all, this tools is developed by Microsoft itself. So this is fully compatible with windows and free of malware, viruses and adwares etc.